Set of 25 pcs of new 11x14" Quality Picture Mats. This item comes with 25 pre-cut mats, 25 backing boards and 25 clear bags. 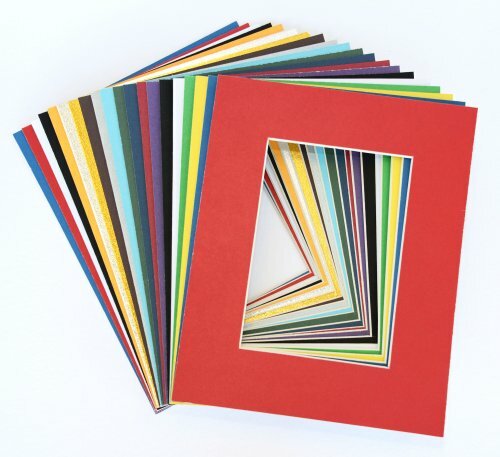 The Openings are Bevel cut 7.5" x 9.5" to fit a 8x10 photo or print. These mats are cut from Quality white core mat board and are excellent for framing photos or prints. Also great for crafts, backboards, signs, children's projects, and school projects. These are Acid Free matboards. This item comes with the 25 pre-cut mats, 25 backing boards and 25 clear re-sealable bags. These are Acid Free matboards, Standard 4 ply: 1.4 mil or 1/16 inch. The backing is white on both side. Perfect for framing 8x10 photos in an 11x14 picture frame.